4th and Inchez is compromised of 3 members, Verse, KB & Kizza, which are all of Nigerian heritage. The trio is originally from Brooklyn, New York but currently reside in Houston, Texas. What makes 4th and Inchez so unique is the diversity of each group members style and how it translates into their music. These different sounds can be detected in their music, and can be described as East Coast meets the Dirty South with an ethnic wrinkle. That is one of the things that makes 4th and Inchez sound so unique. The trio doesn't limit their sound to what would be typically thought of as Hip Hop/Rap, sounds that you hear from 4th and Inchez can be described as "Urban Pop". 4th and Inchez music has been played on 97.9 KBXX, 90.9 KTSU, and 90.3 and have performed at several live shows in Houston, Dallas, & Beaumont, TX. 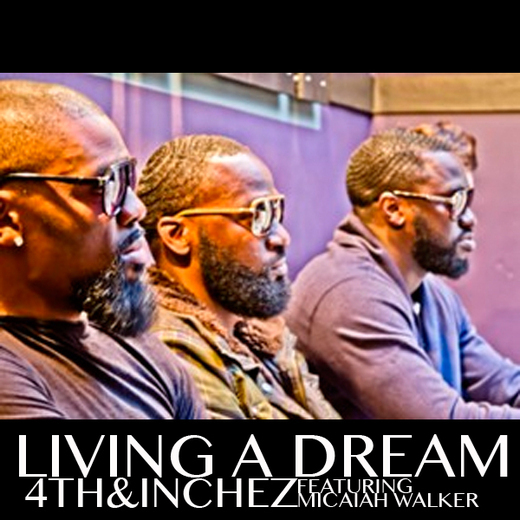 4th and Inchez have opened for many artist such as Rick Ross, Fabolous, Dorrough, Gucci Mane and many more. 4th and Inchez has produced 2 mix tapes entitled No Fly Zone, & Lag-City and also their latest EP entitled Point of View. Three young men who have experienced three distinct ways of life (lived in the East, moved and grew accustomed to the ways of Houston, Texas) but all have backgrounds and influences stemming from Africa. The ultimate goal is for 4th and Inchez music to reach further than the Hip Hop crowd, the trio is branching out to capture audiences of the pop, rock, and alternative genre.